MINIMIE CHINCHIN TRIPPLE CRUNCH PROMO. 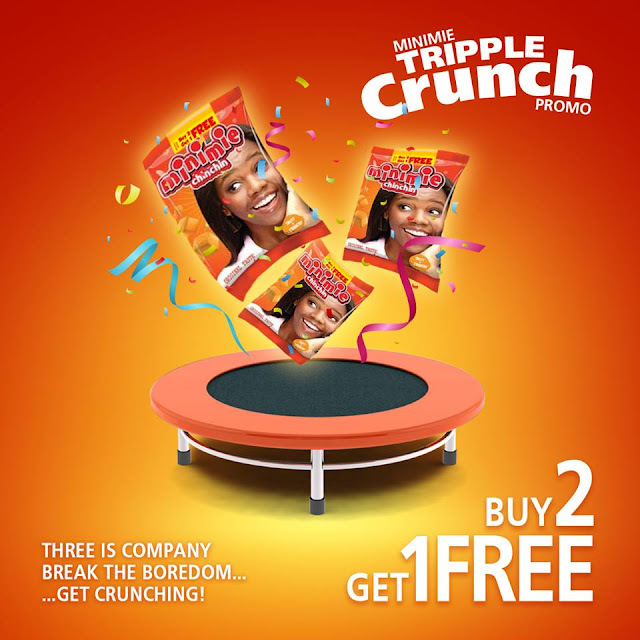 BUY 2 SACHETS AND GET 1 FREE. 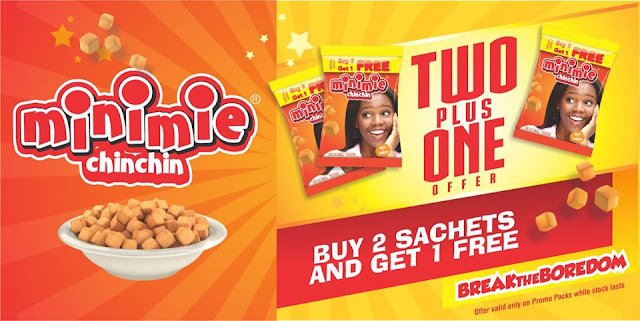 Every bag of the Minimie chinchin promo pack has 25 packs extra inside it.. Ask your retailer for the third pack FREE!